I Can't Believe You Just Said That! | Ginger Hubbard | Audiobook Download - Christian audiobooks. Try us free. The best-selling author of Don't Make Me Count to Three! lays out a simple, Bible-based plan that shows parents how to help their kids tame their tongues and walk in the transforming power of Christ. Are you ever embarrassed or shocked by what comes out of your child's mouth? Do you raise your voice, threaten, and coerce but find yourself frustrated because nothing seems to work? 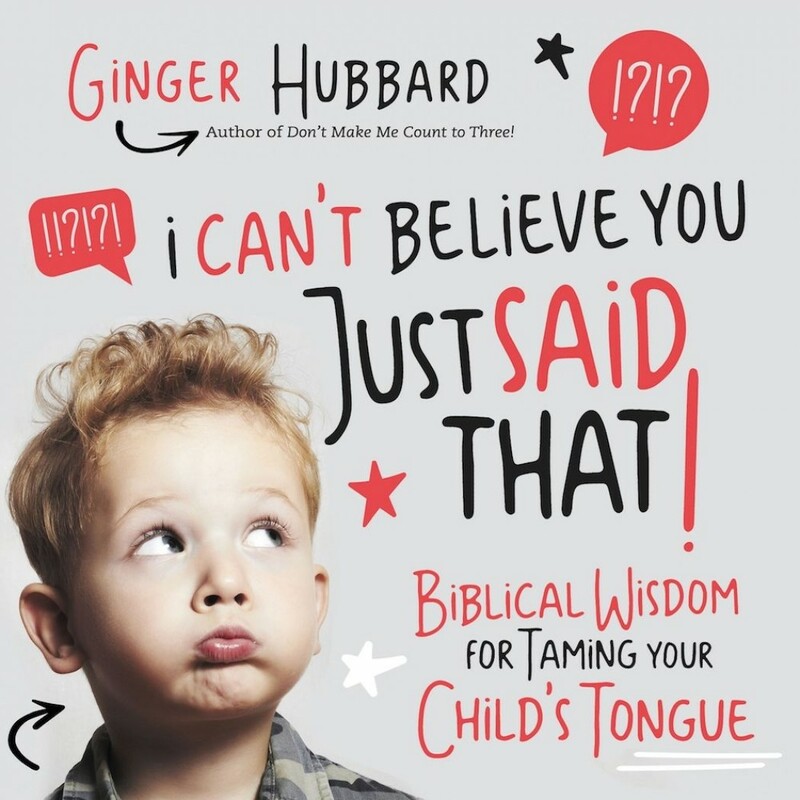 In I Can't Believe You Just Said That!, Ginger Hubbard provides a practical, three-step plan to reach beyond the behaviors of tongue-related struggles - such as lying, tattling, and whining - to address your child's heart. After all, as Matthew 12:34 tells us, "the mouth speaks what the heart is full of". By moving past the idea that parenting is about rigid rule setting or behavior management, we can set aside ineffective practices such as scolding, ignoring the offense, or merely administering punishment. Instead, we start to see that our children's outbursts are prime opportunities for the ultimate goal of all parenting: to guide them to the redemptive work of Jesus and his transformational power.